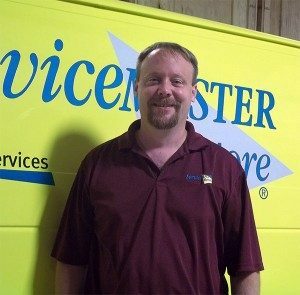 ServiceMaster Restore, Elkton was founded in 1998 by Brett Duckworth, who attended University of Delaware and started the company not long after he graduated. He’s a hands-on entrepreneur, meaning he trains his employees, works directly with his clients, is on great terms with local insurance companies, and knows his industry inside-and-out. Brett stays up-to-date on the latest technologies, environmentally friendly products, and best practices. We offer benefits you won’t find with a corporate-owned company: we’re nimble, which means if you have a problem you can expect to get a hold of us, fast. We’re personal, so we take the time to make sure you know what’s happening with you home, every step of the way. And we’re friendly, because when you’re dealing with a home emergency and unexpected situation, a helping hand and friendly voice goes a long way. We operate out of Cecil County, but because of our reputation for excellence and outstanding service we’ve grown to serve Queen Anne and Kent Counties, as well as parts of Delaware and Pennsylvania. In addition to his degree in business, Brett also holds certifications with IICRC in water, fire, and odor control. He is council-certified by ACAC for mold remediation, and a member of the IAQA mold remediation trade affiliation. Additionally, he is trained and certified in Trauma and Blood borne Pathogens in compliance with OSHA’s 29CFR1910.1030. But more than that, he is personally involved with every job that we handle. We believe that an educated customer is a happy one, so we will always take the time to explain our process, define our role with you and your insurance company and claim, and ensure you understand what we’re doing, and why. We take great pride in building the human connections that have made a trusted source for the unexpected disasters that happen. We can’t prevent the disaster, but we can help with managing it, and in helping you to find the peace of mind that comes from caring, competent professionals taking charge of your home’s restoration.